If you think that cleaning your hair is just applying the right shampoo on your hair and using a good conditioner, that is suitable for your hair type, you are mistaken. Rinsing the hair is as important as using the correct shampoo and conditioner. This part of hair cleaning is often ignored by most people. Next time when you clean your hair, rinse your hair with a good hair rinse. This will provide you well hydrated, soft, shiny and bouncy hair. How to rinse your hair? This is the last step when you clean your hair. It is used after you clean your hair and before you give your hair the final wash.
Make sure that you clean your hair well before using the hair rinse. Apply the rinse on your hair and take care that it goes into the hair more than falling on the floor. You can keep a bowl under your hair so that when the hair rinse falls down, you can collect it ad pour it back again on your hair. Let the hair rinse remain on your hair for about 3 to 5 minutes. After the stipulated time, wash off with water. Hair rinse is a natural way to make your hair shiny and healthy. Your hair will look hydrated and bouncy after using hair rinse. 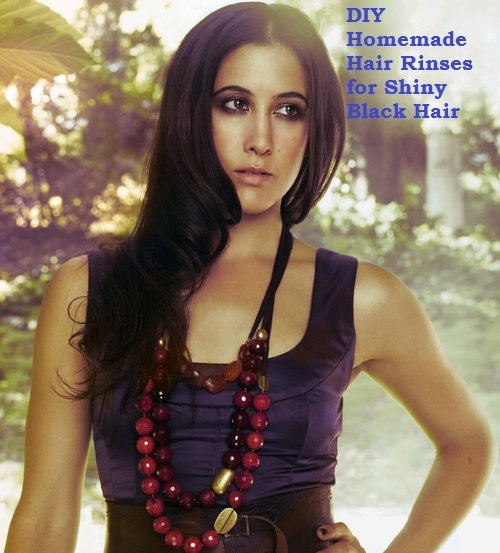 Homemade hair rinse never harms your hair in any way. If you have brown hair, coffee rise is the ideal rinse for you. Try to use fresh coffee beans if you can. Take a glass of water and steep coffee powder in it overnight. Next morning, after cleaning your hair, use this as the last rinse. Let the coffee rinse stay on your hair for 20 to 30 minutes. Using coffee rinse provides a great amount of shine to your hair and makes it look healthy. It also provides an amazing tinge of color to your hair. Honey hair rinse is one of the most popular and famous hair rinses that you can use at home. Take a mug full of water and mix one tablespoon of honey to it. After cleaning your hair well, pour it on the hair as the last rinse. Let it remain on your hair for a while. Gently pat and then dry your hair. It makes your hair very shiny. It also provides moisture to your hair and keep it hydrated. You can all types of teas like black tea, green tea, white or herbal tea for rinsing your hair, as all are good for your hair. You can use tea bags or even the use the tea leaves that you have used to make tea. Boil tea leaves or tea bags in a mug of water. Boil till the water gets a nice color of the tea. Keep it aside and let the tea water cool to the room temperature. For blonde or light-colored hair, black, chamomile and lemon tea are excellent. Hibiscus gives a dark color to the hair and is perfect for red hair. Tea rinse is useful to prevent graying of the hair. So, if your see strands of grey hair, start using this and you can prevent further graying of the hair. Vinegar is also one of the commonly used hair rinses that is very beneficial for your hair and the scalp. Take 3 mugs of cold water and add 2 cups of apple cedar vinegar to it. Mix well. Pour this slowly on your hair, taking care that it reaches all parts of your hair. Let the hair rinse stay on your hair for a few minutes. Wash off with water and let the hair dry naturally. If you have a very dry scalp, vinegar hair rinse is the right choice. This hair rinse has the ability to prevent itching of the scalp and is also beneficial for treating flakiness of the scalp. After using this hair rinse your hair will be shinier and more bouncy. Why do you need a hair rinse? The shampoos and conditioners that you buy and use are mostly full of chemicals that may harm your hair. Shampoos remove sebum, from your hair. Sebum is the oil produced naturally by the scalp to protect the hair. When this is removed, your hair may turn dry, frizzy, brittle and unmanageable. Conditioners also contain various chemicals that can cause damage to your hair. Hair rinse helps in maintaining the pH balance of your scalp and the hair. It also aids in increasing the circulation of blood in your scalp and provides you soft hair that is also strong. What a hair rinse does? It makes your hair well nourished and strong. Hair rinse adds volume to your hair and also makes dull hair shiny. It retains the moisture in your hair. It even camouflages the appearance of grey hair. Frizzy hair benefits a lot from hair rinse. It helps to reduce the chemicals that may deposit on your hair from shampoos, conditioners, hair gels and creams. All these hair rinses are very easy to prepare at home and the ingredients are also easy to get as most of the households have them. They are the natural way to treat your hair and provide you shiny and healthy hair. Try some of these hair rinses and see how it transforms your hair for the better. How to Apply or Use Lemon to Get Rid of Dandruff?